Croatia is a country with a long and turbulent history, which resulted in an extremely rich cultural heritage which is one of the characteristics of the Croatia. Croatia has an impressive number of museums, galleries and monuments of exceptional beauty,some of which are under UNESCO protection. 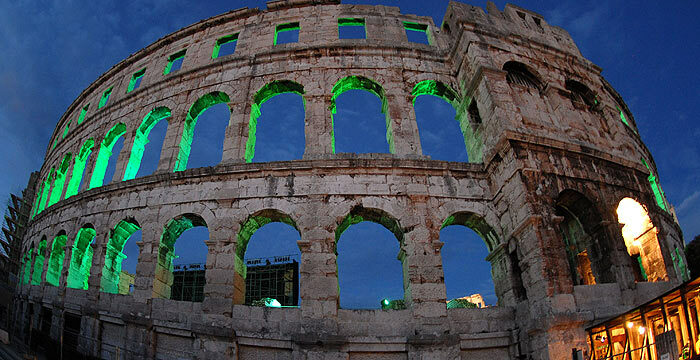 Cities and monuments that are few thousand years old , impressive buildings from Roman times, as well as findings from the Stone Age which proves that this area was settled long time ago, are just some of the reasons that make Croatia the inevitable cultural destination. Meet Croatia through visits to museums, galleries and monuments. Visit one of the many Croatian museum that will enchant you with its rich exhibition of paintings, sculptures, graphics, artifacts, etc., take a look at the gallery and get familiar with priceless works of art, explore the monuments of Croatian and walk through the turbulent Croatian history. Would you like to experience the culture and history of the Croatian on the best and most interesting way, visit museums, galleries and monuments which are in our rich offer!